Latinum cannot be replicated via a replicator because < hand waving >. Replicators and transporters are based on the same underlying technology. Therefore, it seems reasonable that latinum also cannot be transported for the same reason. Does it ever get beemed in the shows/movies? I can't say for certain, but it's in fandom it's commonly said that transporters work on the quantum level, while replicators only work on the molecular level. This could lead to slight errors in replicated material, as with the replicated DNA in the TNG episode Data's Day. The fact that latinum can't be replicated, or at least isn't economical to replicate, suggests that it can't be produced from the raw material used in common replicators (or perhaps that raw material would have to be more valuable than the latinum itself). However, it may still be possible to store it in a transporter pattern. In the Star Trek: Deep Space Nine episode "Ferengi Love Songs" FCA agent Brunt beams into Quark's closet on the Ferengi homeworld. 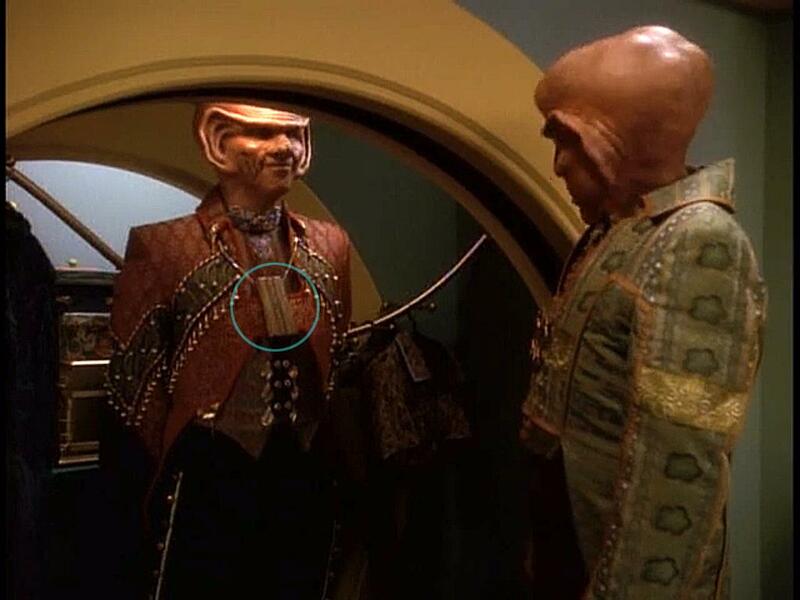 On a chain attached to his collar, Brunt wears a bar of gold-pressed latinum. There is other, circumstantial evidence. It seems unlikely that ultra-capitalist Quark travels without any currency on him, yet he was beamed down to a planet in "The Siege of AR-558." Morn, we learned, carried an enormous fortune in pure latinum in one of his stomachs. If latinum could not be transported then Morn would lose it all should a transporter ever be used on him. Given that transporters are the preferred method of evacuation in some circumstances, Morn would be taking a tremendous risk engaging in any sort of space travel. Not the answer you're looking for? Browse other questions tagged star-trek star-trek-transporter replicator or ask your own question. How do star ships slow down from high impulse speeds? Why no red alert if someone catches a cold?